So I’ve watched the long awaited horror film – The Conjuring 2. It is directed by the talented James Wan who also known as the director of the famous film such as Saw, Furious 7 and Insidious Chapter 2. Do you know he was born in Sarawak? Well check out his profile here. The Conjuring is based on a true story that really happen long time ago. 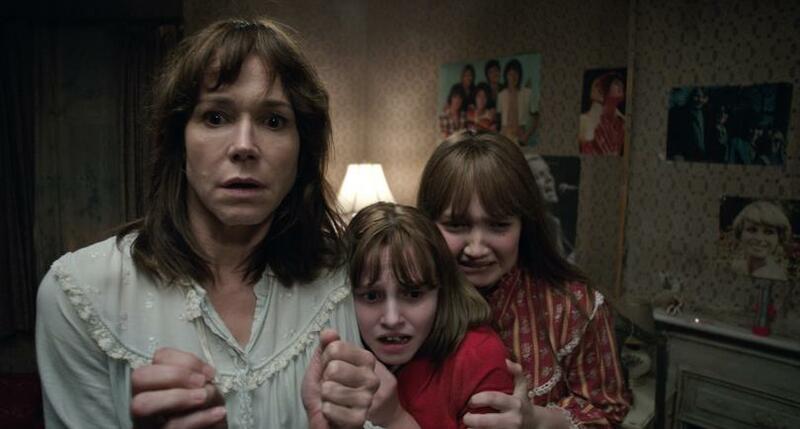 In The Conjuring 2, husband and wife Ed and Lorraine Warren were invited to be the investigators of a mysterious and paranormal event that happens in London, England. They flew all the way there to help the Hodgson family. While they investigate the Hodgson family, several ‘scary’ events happen that will make you scream. I won’t spoil you by telling you how the story goes; well if I did it may take you forever to read this post. The ‘ghost’ that possessed one of the Hodgson’s daughter was not easy to capture. The Warrens trying to help her but the ‘ghost’ won’t let them and trying to prank and manipulated them to make they go away even with Lorraine talented gift. Guess ghost also smart huh. I thought they will fail in helping them but eventually they did, but of course a bit cliffhanger there. It wasn’t as scary as The Conjuring 1, not much of unpredictable horror scene as I can know when the ‘ghost’ will pop out. No I didn’t watch the trailer at all, okay. I was interested of the true story of the Hodgson I take my time to investigate my own, haha call me crazy because well what can I do. You can read it here. They call it Enfield Poltergeist, which is a type of ghost or other supernatural being supposedly responsible for physical disturbances, such as loud noises and objects being moved or destroyed. My rate 8 stars out of 10. Minus stars for 1-less of horror scene, 2-incomplete scene where I didn’t know why the ghost come and haunt the Hodgson. Btw, did I mention the plot take place in England? And yeah because I love British accent. It’s time to figure out whether you believe in curses or simply unfortunate coincidences. Do you believe in ‘ghost’? Do you think it is only supernatural act?